Pump It!, originally uploaded by lightwriter27. 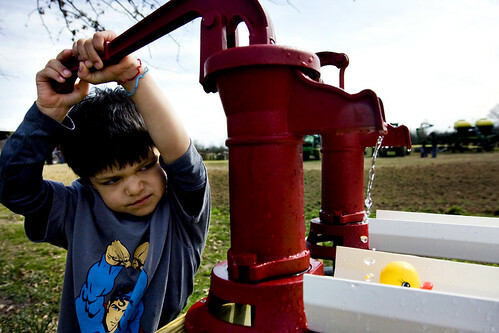 Gavin Steadman of Olive Branch, MS. learns how to function a manual water pump at Our Family Farm, in DeSoto County. Our Family Farm put on a family farm festival to celebrate National Agriculture Day with demonstrations of farm techniques and technologies both past and present. fantastic. determined to get that ducky down the shoot. i'm pumped about this picture.